This page is for the original version. For the updated version, see Outcast 1.1. For the 2017 remake, see Outcast: Second Contact. 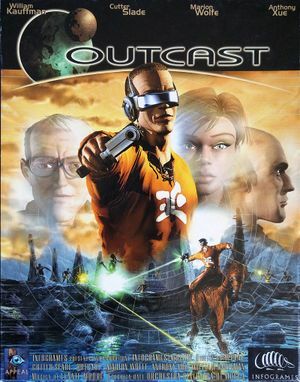 Bundled with Outcast 1.1 as "Outcast Classic". Install patches 1-3, in order. These patches are for the retail releases only (the GOG.com release is already patched). This is for retail releases only, do not install on the GOG.com release. The links marked HD-V3 are the most up-to-date version of this patch. Allows for more resolution options than the unpatched game. The higher resolutions may cause a number of issues, as well as general instability. Fixes a crashing bug introduced by the Resolution Fix. 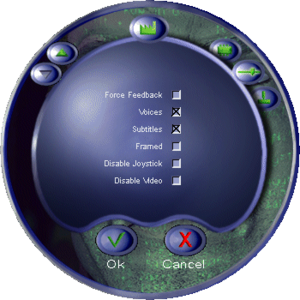 A Pentium II is required for the DVD versions. This page was last edited on 20 March 2019, at 16:15.